8) CE & RoHS certification,2/3years warranty. Cable gland:IP68 PG-11 copper with nickel-coated. IP68 LED underwater lights applied to the bridge, building exterior lines outline lighting. 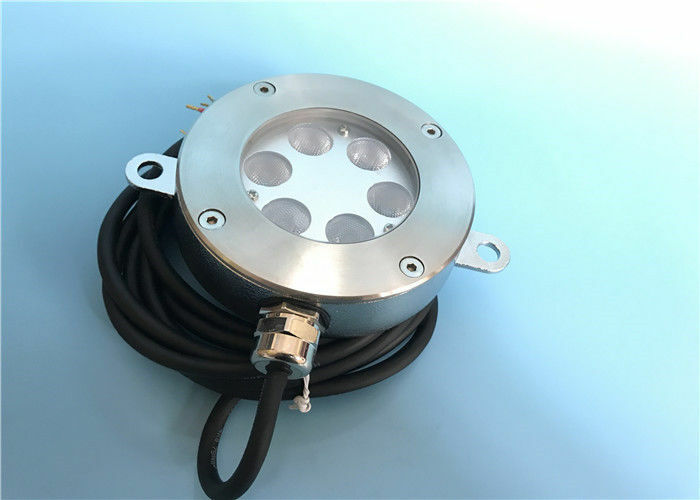 Super bright LED of high quality LED power light or ultra-bright LED, with low power consumption, low heat, long life, impact resistance, high reliability. 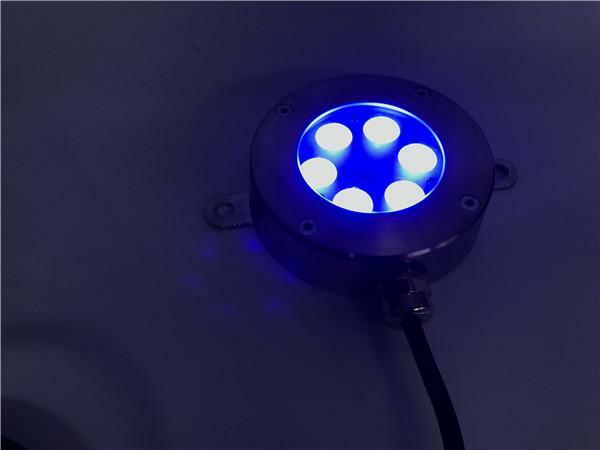 Seven-color LED color mixing effect, can meet different requirements of occasions on light colors. Color is pure, luminous uniform, through smoke, fog and strong. In the smoke or fog can be seen clearly when. Is unmatched by any other source. Long life, average life expectancy of up to 80,000 ~ 100,000 hours. Easy installation, low maintenance costs. 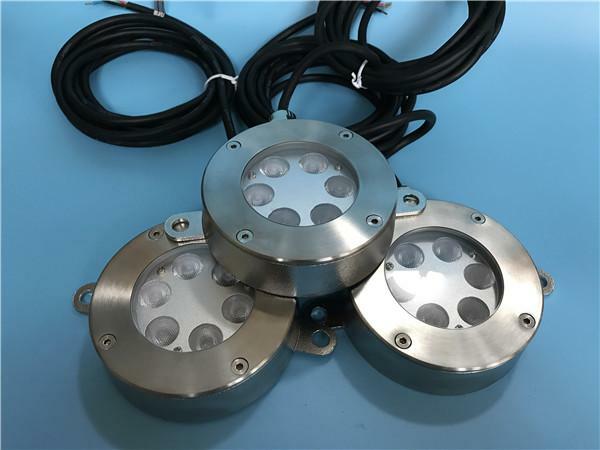 1) The Φ115mm RGB 3in1 304 Stainless Steel 18W LED Underwater Lights With SS Support Frame has to be lighted underwater to prevent the lamp from burning up because of over-heating. 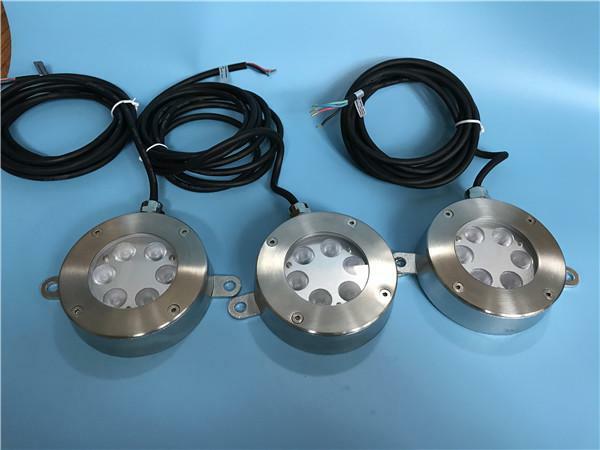 3) The best height for this LED underwater light lighting is within 1M. 5) This LED underwater light has very lighting effect for fountain lighting project. 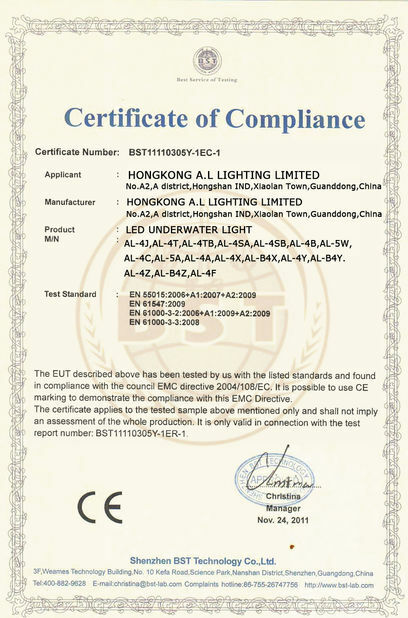 Also can be applied to the application of LED projection lamp place.